I was zipping through the photos of a recent party in my iPhoto 09 library to tag some faces using the automatic face recognition system. 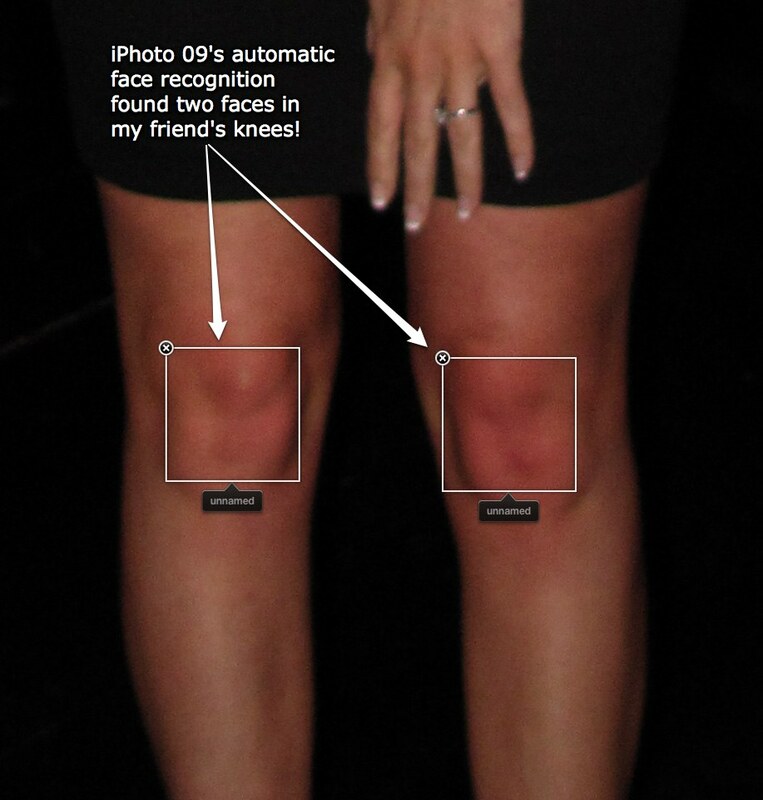 iPhoto 09 does quite often tag miscellaneous dark areas in the back of a picture, faces printed on clothing, etc but I did find it rather amusing when it asked me to name each knee of one of my friends. Thats funny, I found two big pillows !! !